I know it's May. But it's May in Washington. Yesterday, my mama and I drove home through wind, fog, rain, and lots of dark mountains. 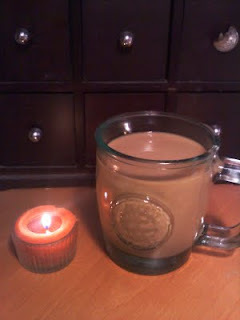 So today, I am home, and I want home comforts like coffee and candles at my desk.